Police officer Laurence Powell, right, stands outside the court house during jury selection for the second trial of the four police officers charged in the Rodney King case. Officer Laurence Powell had been an honors student at Crescenta Valley High School in the San Fernando Valley, and he graduated from the Police Academy near the top of his class. But on March 3, 1991, his promising career took a wrong turn, when he and Officer Timothy Wind responded to a chase of a motorist named Rodney King. After the pair arrived several other officers, including Sgt. Stacey Koon, who supervised, came to the scene to make the arrest. According to court testimony, Powell's performance that night escalated the situation to a point where King eventually became a victim of excessive force. Powell had swung his baton as many as 40 times at King, who all the officers claimed was resisting arrest. King himself testified that he had initially resisted because he was afraid the arrest would result in a probation violation. Powell, Koon, Wind and Ofc. Theodore Briseno's acquittal in a Simi Valley, Calif., court sparked the riots, but a year later, both Powell and Koon were found guilty of violating King's civil rights and sentenced to 30 months in federal prison (Wind and Briseno were acquitted). Powell's lawyer, Michael Stone, says Powell does not speak publicly about the incident or the trial any longer, adding only that he is "married with two children," and does not give details about his life to the media. 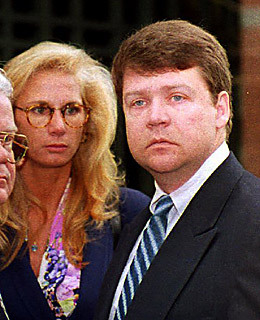 But five years after he was convicted, he told CNN that King was a "puppet for his lawyers." "They parade him around and try to move him to be their spokesperson for the case, but when it comes down to the nitty gritty, he's just a petty criminal."